Dropstone Outfitting - Enjoy the hike while we pack your gear! in Montana’s Bob Marshall Wilderness. The only outfitter in the Bob Marshall Wilderness that caters to stock-supported guided hiking trips, Dropstone Outfitting’s services allow our guests to carry a light day pack while our seasoned stock transport the gear to camp. Based along Montana’s Rocky Mountain Front, we know how special this part of Montana is, from the Bob Marshall Wilderness Complex to nearby Glacier National Park. Because of this, we specialize in trips that introduce guests to gorgeous landscapes, remote locations, iconic wonders (like the Chinese Wall) and incredible hiking and backpacking routes in one of the state’s most beautiful places. Plus, our trips include knowledgeable guides, homecooked meals and an adventure that can only be found in the mountains of Montana. 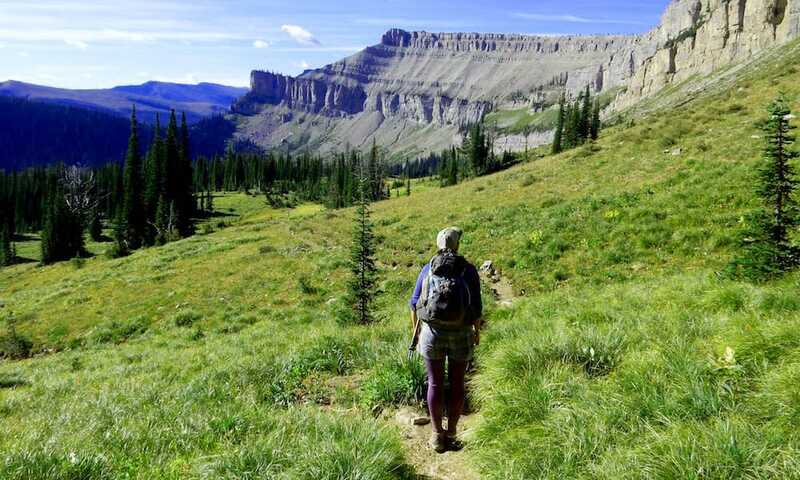 It’s time for one of Montana’s most epic adventures, a hiking trip into the Bob Marshall Wilderness. Make the most of your time in the backcountry by being prepared, from gear to bear safety and trip logistics. At Dropstone Outfitting, our guides have years of experiencing hiking, backpacking and exploring The Bob. 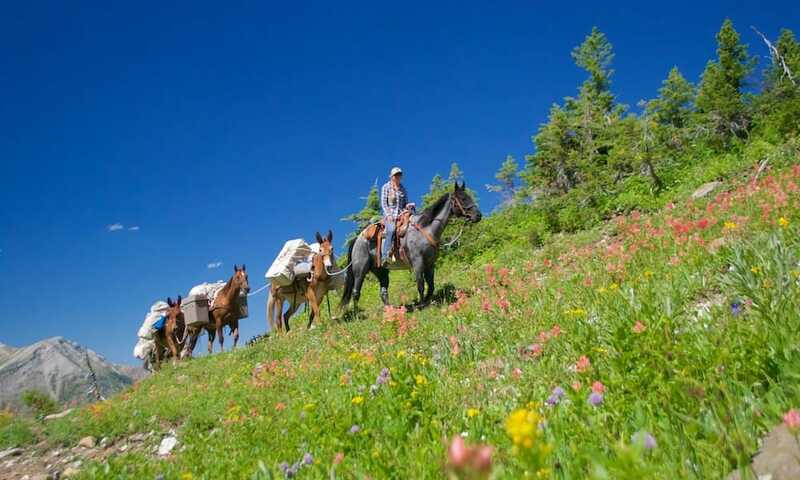 Learn more about who they are and why they love the Bob Marshall Wilderness, plus meet the stars of our operation—the horses and mules. Don’t just take our word for it, take a look at what our customers have to say. I cannot say enough wonderful things about Dropstone Outfitting!!! Their professional trips promote immersion in remote wilderness environments where clients participate in hiking, wildlife watching, swimming mountain lakes, exploring geology formations, photography, storytelling about old timers, or just plain enjoying solitude. Food is healthy, delicious, and plentiful. Safety is always foremost in all activity. I especially like the options offered on layover days - extra hiking and exploring to climb those higher trails and peaks or just hanging out in camp and enjoying the beauty of wilderness. Dropstone Outfitting's knowledge of and love for the wilderness make their trips truly unique and memorable. I've trekked with Dropstone twice in the last 2 years and am going again in September 2017. I can't say enough about the quality and personal attention the owners and staff provide to their clients. The hikes are well planned in the most beautiful wilderness in Montana, and the food they provide and prepare is always delicious. If you like wilderness experiences, wildlife, and camping for a reasonable price, I suggest you connect with Dropstone Outfitting and take a trip. After two wilderness trips with Dropstone, I am looking forward to a third! This is a premier experience for those who like to hike and absorb some of the wildest country in Montana while enjoying great camp food and good company. The Dropstone team is the epitome of what outfitting should be. They deliver an in-depth learning experience, while operating in a sustainable manner and making certain you have everything you need while exploring one of the greatest wilderness areas in the world. To top it all off, their team is a blast to be around. Did I mention that the meals are different every night and all of them delicious? Can’t wait to do another trip! The concept behind Dropstone is spot-on and Maggie, Yve, and their crew do it just right. I can’t imagine a company being more enjoyable to explore the Bob with.